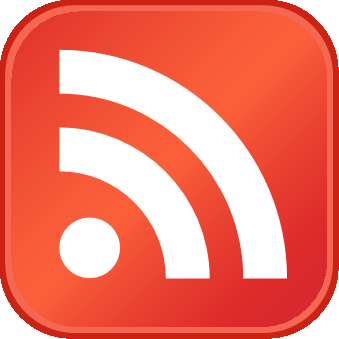 Home > oilprice > Peak Oil Production at Permian Basin? 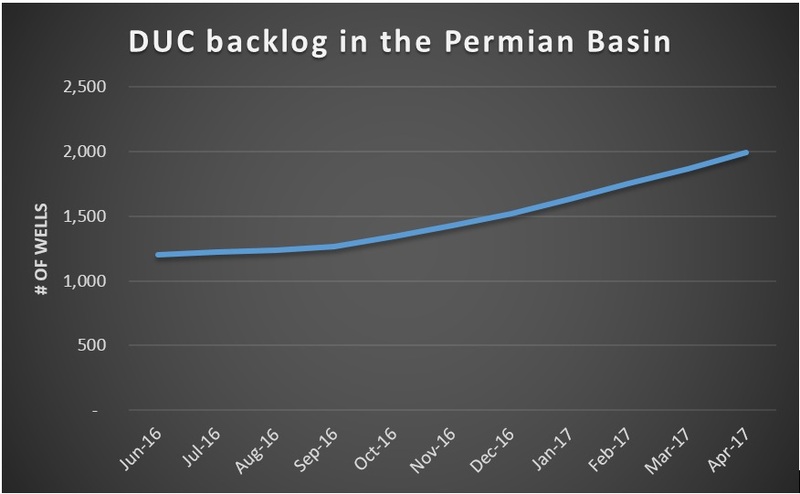 Peak Oil Production at Permian Basin? According to the EIA's Drilling Productivity Report, productivity (as opposed to absolute production) is set to fall next month in the Permian Basin. 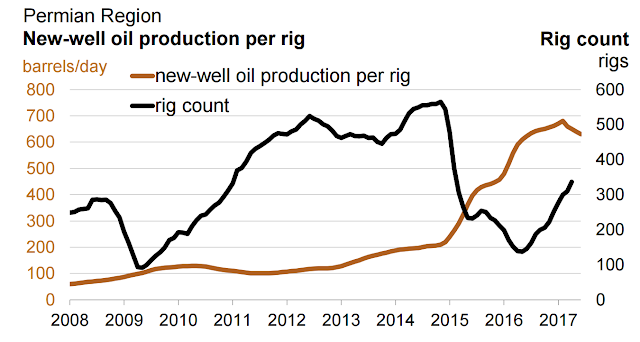 In other words, the average rig will only be able to produce an estimated 630 barrels per day of initial production from a new well, down 10 b/d from the 640 b/d that such a rig might have produced in May. That is convoluted way of saying that the ever-increasing returns on throwing more rigs at the problem might be hitting a ceiling. The strain on contractors means that drilling costs will also rise. Oilfield service companies bore the brunt of the market downturn over the past three years, forced to slash their rates because of the lack of work. 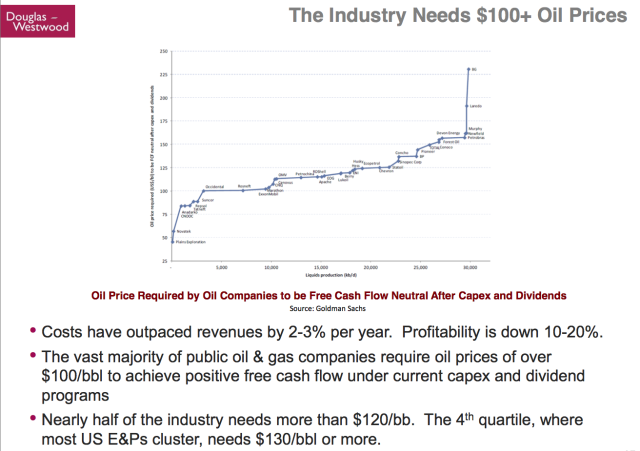 Oil producers have consistently and repeatedly boasted about their "efficiency gains," but much of the cost-savings came from soaking service companies. But it isn't all rosy for service companies either. Fuel Fix notes that they have to rebuild their rig fleets after scrapping so many during the last few years. 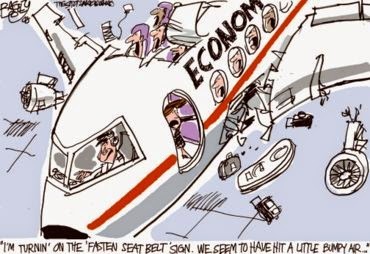 Also, finding enough people to return to work after savagely cutting payrolls will be a challenge. Also, OPEC's determination to prevent another downturn in prices provides some certainty to shale drillers. OPEC is erasing some of the risk for drillers to deploy resources in the Permian. On an annual basis, the EIA estimates that U.S. oil production will average 9.3 million barrels per day (mb/d) in 2017 and a staggering 10.0 mb/d in 2018.